Super Bowl weekend in Las Vegas is an experience second to none. Well, OK, actually being at the Super Bowl is probably pretty fricking cool too, but without Las Vegas’ unlimited options for fun and debauchery. After all, no one does nightlife quite like Las Vegas. But book your rooms and limos and party packages early because just like the hotel rooms in whatever city the Super Bowl is in, Vegas fills up fast Super Bowl weekend. 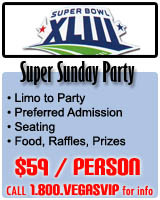 Vegas VIP has your connection to the hottest parties, clubs, bottle service, limos and more during Super Bowl weekend. If you think the atmosphere at the Super Bowl is crazy, then you have a big surprise in store because Las Vegas is just as, if not more crazy than the Super Bowl venue. With Sports Books, Strip Clubs and Succulent…dinners, you can’t beat Super Bowl Weekend in Las Vegas. The sports books live for this particular weekend as it is the biggest betting weekend of the year. 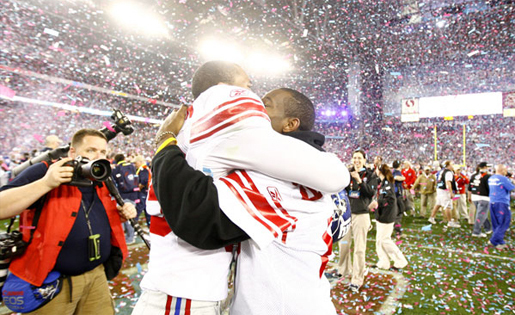 If you can dream up the bet, chances are the sports book of your choice will take it. Not just the over/under and spread but which team will score first, who will miss a field goal, etc. With the festive atmosphere every sports book in town has on Super Sunday, a good time is guaranteed. One thing you have to be aware of is that you can’t leave planning your Super Bowl weekend in Las Vegas until the last minute. Clubs have parties and those parties sell out. Rooms go fast. Seats at the coveted Sports Books and Sports Bars like Lagasse’s Stadium at the Palazzo fill up. Reservations are booked way in advance. 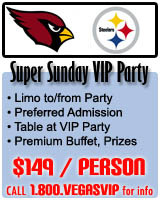 Vegas VIP has your connection for all the Super Bowl parties Las Vegas offers. When it comes down to the Big Game, one thing is for sure, you’re going to want to be in a Sports Book. Get there early as most will have seats reserved for their VIPs and the rest of the seats are on a first come – first served basis. With hundreds, even thousands of football fans cramming every sports book in town, it is a vibe that just cannot be replicated outside of Las Vegas. If you spent your Saturday night indulging in all things Vegas, never fear – Vegas VIP is here. We have your hookup to the hottest Sports Books both on and off the famous Las Vegas Strip. 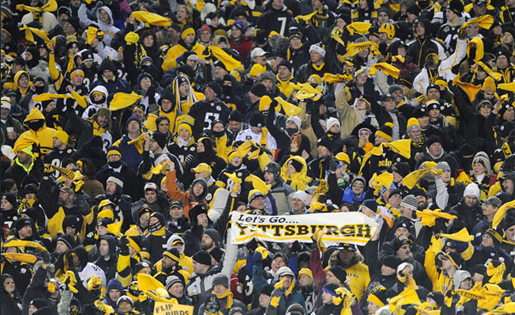 The Big Game is on Sunday, but what to do with the rest of your weekend? One thing is for sure, Las Vegas has unlimited options. Take advantage of our good weather and get in a round of golf before going out to an amazing dinner and then hitting the clubs and casinos. From the Venetian to Wynn to Encore to City Center and Mandalay Bay – the restaurants will be packed and the clubs jumping with Super Bowl Revelers. The key to a fantastic Super Bowl weekend in Las Vegas is in the pacing. Remember, any Las Vegas weekend is a marathon that requires juggling, but Super Bowl weekend in Las Vegas is like Vegas on steroids. 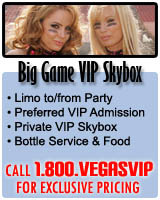 Let Vegas VIP plan your ultimate Las Vegas Super Bowl weekend. From shows and clubs and dinner reservations to rounds of golf and sports book seating and bottle service – we have the hookup to plan the most mind-blowing weekend of your life.